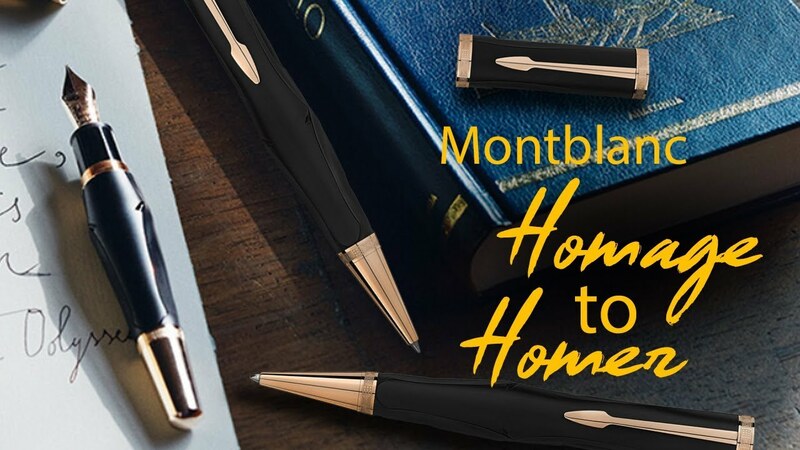 Montblanc Homage to Homer Ballpoint Refill - Writers Series - Medium - 2 per pack. Compatible with the Montblanc ballpoint pens. The Ballpoint Pen Refills are linked to the launch of "Writers Edition, Homer". The design is inspired by the Homer sculpture and by the epic poem of the Odyssey featuring the Trojan horse. The color of the cover and of the refills is inspired by the typical Greek blue color of houses and the sea.